The Parliament building in London is one of the most well known and attractive structures in the city. Inside this huge building there are two debating chambers, the House of Lords and the House of Commons. 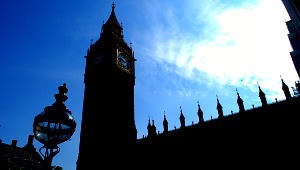 UK politicians meet and debate here and towering over the whole “Palace of Westminster” as it is known, is the huge clock tower containing Big Ben, the deep sounding bell which chimes on the hour. The Commons is where the MPs sit and make laws which are then further discussed by the non-elected Lords. There are also MP’s offices inside, but the building across the road, Portcullis House, contains further offices for the politicians. Guided tours are available most Saturdays and also on weekdays during the summer and we’d thoroughly recommend them. The tours take you through Westminster Hall, the oldest part of the current building and then into most of the significant rooms that are used by the politicians. You’ll notice that the various rooms are colour coded – red for the House of Lords, and green for the House of Commons. You’ll see the Queen’s robing room where she prepares for her annual speech, along with lobby areas, the voting corridors where MPs are counted after a debate and most significantly, the two debating chambers. We found the tour very informative and entertaining. It dealt with both history of the building and the workings of parliament. You’ll learn about some of the artworks in the building too and you get to see one area where war damage has not been repaired on the orders of Winston Churchill no less! The highlight for us was standing in the House of Commons across the benches from where the Prime Minister sits – it’s so much smaller than it looks on TV. Guided tours are available in English, Spanish, Italian, French, German and Russian. UK citizens can ask their MP for a tour at other times too. Tickets for general opening can be bought in advance via the Parliament website (linked below) and cost £16.50 for adults (2013 prices). We’d definitely recommend booking in advance as the tours fill up very fast, but if you want to see if one is available on the day, call into the ticket office which is next to the Jewel Tower across the road from the Cromwell Green entrance. Summer opening in 2013 is from 31 July to 31 August (Monday to Saturday) and 17 September to 5 October (Tuesday to Saturday). If you’re not interested in seeing inside and just want to view the buildings from outside, the best view is from Westminster Bridge or the opposite side of the River Thames where you get a good idea of the size of the place. You can also get a more familiar view of the Houses of Parliament from Speaker’s Green on the Westminster Abbey side – this is where TV correspondents do their reports which are beamed all over the world. The nearest tube stop is Westminster. A great way to see the Houses of Parliament and other London landmarks is by using the Hop-on Hop-off Bus Tour which always gets great reviews.